Dynamik are proud to yet again support this grass roots event as part of the Dynamik National School’s Competition. Queens School v Christ School (U14 Boy’s Final). St Bonaventure’s v Barking Abbey School (U16 Boy’s Final). Charnwood Vs City of London Academy (U17 Girl’s Final). Myerscough College Vs Charnwood School (U17 Boy’s Final). Aylesbury High School Vs Charnwood College II (U19 Women’s Final). The College of Richard Collyer Vs Greig City Academy (U19 Men’s Final). 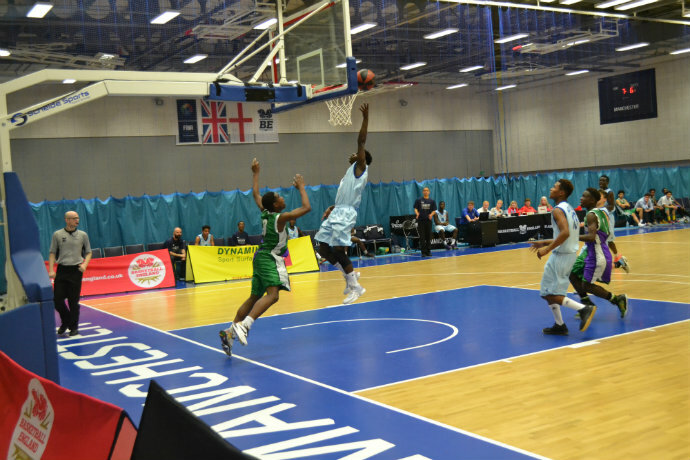 All teams in the finals will play at the National Basketball Performance Centre in Manchester on Friday 23rd March 2018. Well done to all the teams taking part. Great work!